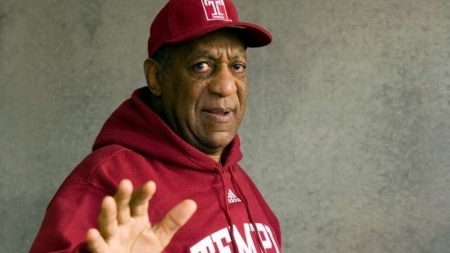 Bill Cosby resigned from Board of Trustees at Temple University today after serving for 32 years. Cosby has recently been under fire amid allegations from twenty woman who have accused the 77-year-old comedian and actor of sexual assault over the years. Cosby has denied the accusations. He said in a statement today, "I have always been proud of my association with Temple University. I have always wanted to do what would be in the best interests of the university and its students. As a result, I have tendered my resignation from the Temple University Board of Trustees." Temple's Board issued a response saying, "The Board of Trustees accepts Dr. Cosby's resignation from the board and thanks him for his service to the university." Other schools have also cut ties with him including the University of Massachusetts at Amherst. The reward for missing student Shane Montgomery has risen to $25,000 on Monday. Jim Townsend, the Director of Operations, for Kildare's Pub in Manayunk where the 21-year-old man from Roxborough was last seen put in the added $10,000. At a press conference this afternoon, Townsend described Montgomery's last known movements in the bar. He explained that Montgomery was not stumbling drunk when asked to leave and was polite to staff when they walked him out just like his mother has been saying. He said that Shane turned left out of the establishment and walked south on Main Street. They are working closely with Police and FBI. The FBI has now posted the new reward amount and Shane's picture on billboards around the area. Anyone with information is urged to contact authorities at 215-686-3353/3354. A Bucks County videographer is accused of taking money from engaged couples to video their upcoming weddings and then not doing the job. Bensalem Police started receiving complaints over the summer about the same video company. They found that more than 40 victims had been scammed out of over $44,000. 31-year-old Michael Dolbow III, who owns Dolbow Video Production Company on Galloway Road in Bensalem, PA, would contract to videotape a couple's wedding and most of the time never even show up to do it. Sometime's a couple would get partial service or a partial refund but he'd usually just disappear. He has been charged with theft by deception, unlawfully taking and receiving stolen property and deceptive business practices. He is being held in Bucks County Prison in lieu of 10% of $70,000 bail. Rain, Temperatures falling into the 40's this evening in Center City.